The council wants the Sierra Club and other environmental groups and on-reservation organizations affiliated with these groups to know they are not welcome on the Hopi Reservation, declaring them persona non grata — no longer favored or welcome. So much for the environmentalists’ image of the peaceful red man, living in harmony with nature. Because as far as the Hopi are concerned, nature gave them a big ol’ pile of coal and it’s not doing anyone any good as long as it sits in the ground. The Micosukkee tribe in South Florida did the same thing about ten years ago. And none of their tribal lands became unlivable. Enviropagans… Like all liberals, they worship the emotion of ‘right now’ with no regard to the long term effects. Tax, tax, tax, spend, spend, spend like there is no tomorrow . What? Save money, lower taxes, create jobs? Dude! That’s like, well, tomorrow and we want it now…. Like the classic Ant and the Grasshopper…one of my favorite Aesop fables. Being a sovereign nation, I’m surprised the Hopi’s didn’t kick their asses out sooner. Other tribes had better take notes and bar the enviro bastards from even looking sideways at their reservation. They need to circle their wagons and sue the friggin’ pants off of all the candy asses involved for the loss in income. Where can I donate to a fund? Last I knew the liberals claimed to have created millions of jobs, I guess they forgot to mention those jobs where overseas. This is great watching the liberoo melt down, I love it! 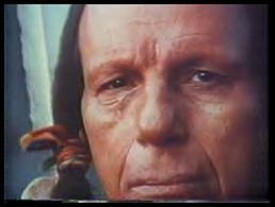 Good to see ol’ “Iron Eyes” (Espera Oscar de Corti) again. Being Sicilian, no doubt he’d kick the tree huggers out. And, it seems, so are the real Indians as well. Hahaha… I was thinking the same thing! Isn’t this racial profiling? It is a great picture!!! They kicked the commies to the curb the same way the American electorate did Obama over HIS Marxist policies. Viva la revolucion… and may it continue on to sweep every corner of the country free of the Pink Stain! Next stop: academia! God bless the Hopi tribe and may God bless America! Dammit, how else are they gonna get their firewater?!?!?!?! I applaud this. But I would really like to see which POS congressman finally reaches down and checks if he has a pair….and help the farmers in Cali that have been bled dry…..so to speak….One of our most fertile farmlands turned into a desert by the Enviro-Communists…. It’s not just California farmers who are being destroyed by the Enviro-communists. The entire state of California is beng turned into a third World shithole by the Left….and yet Californians keep electing the very people who are ruining the state’s farmers, middle class and businesses. Not to mention the DEAD. I feel sorry for the farmers (since they are grossly outnumbered by the loonies) but the rest of Calif…..piss on em. Well, warn me if you do! I will open my umbrella! (Not all of Cali is “fruits and nuts”. In fact, I really wonder what the percentage is? If you watched FNC’s election coverage, and noticed Cali’ on the map, it was mostly red.